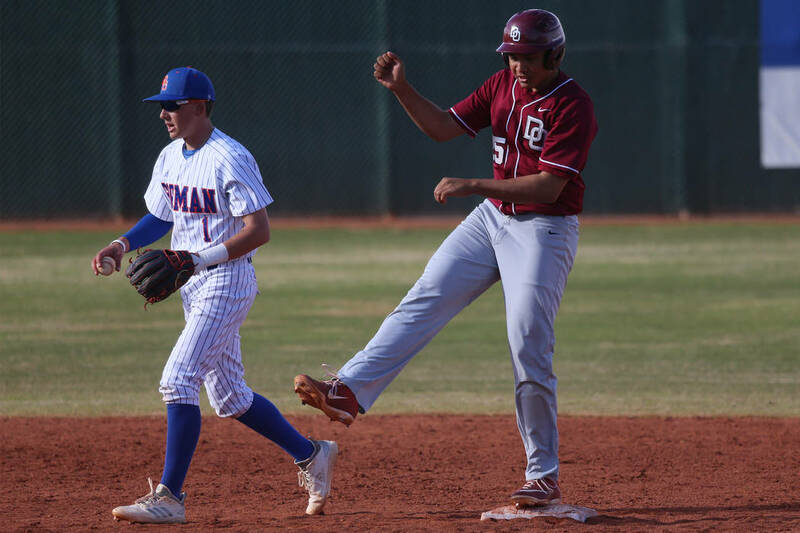 Desert Oasis’ Josh Sharman picked off two runners to get out of a jam in the fifth inning on the way to throwing a four-hit shutout in a 4-0 victory over host Bishop Gorman. 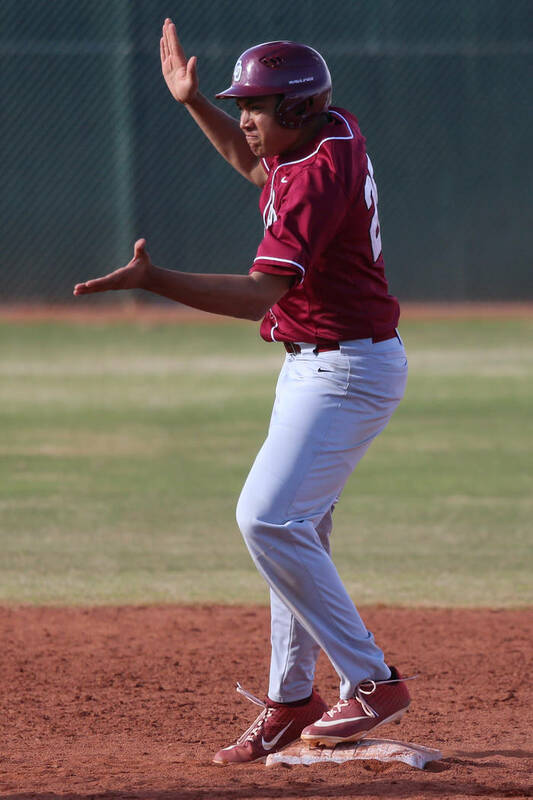 Desert Oasis pitcher Josh Sharman pitched a fantastic game on Thursday. But the two biggest outs he recorded came without throwing a pitch. 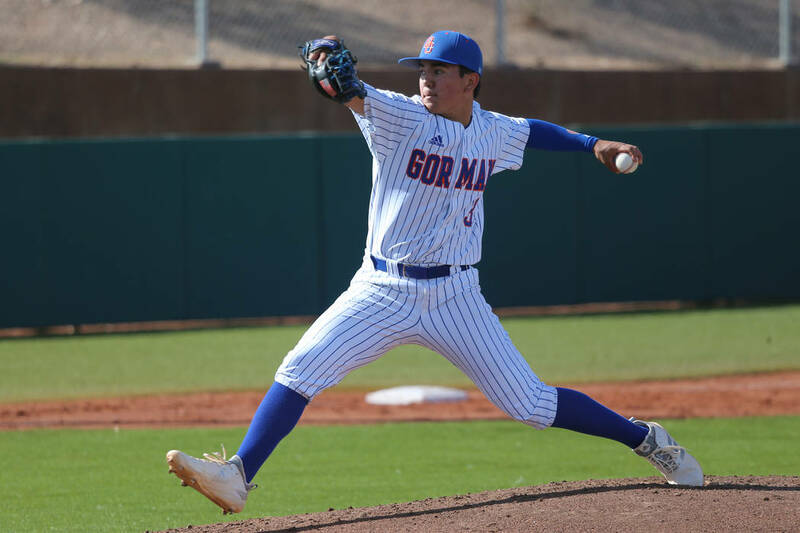 The senior left-hander picked off two runners to get out of a jam in the fifth inning on the way to throwing a four-hit shutout in a 4-0 victory over host Bishop Gorman. 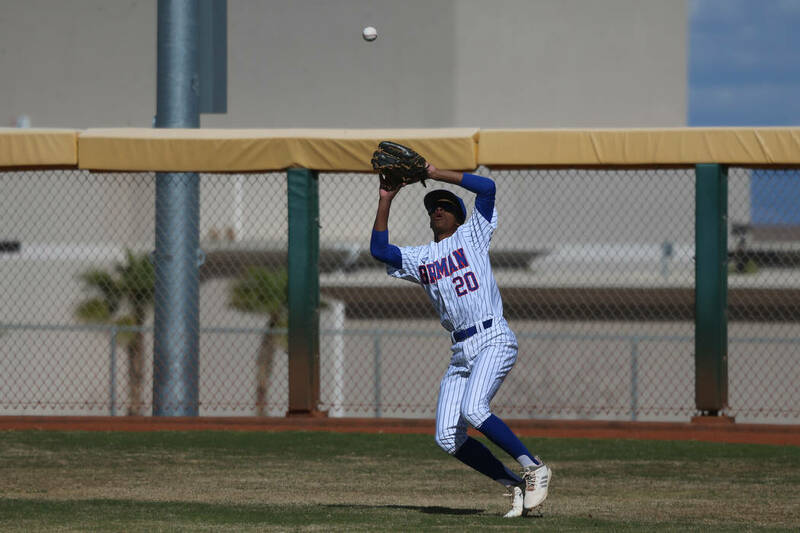 Sharman walked the first two batters in the fifth before Gorman’s No. 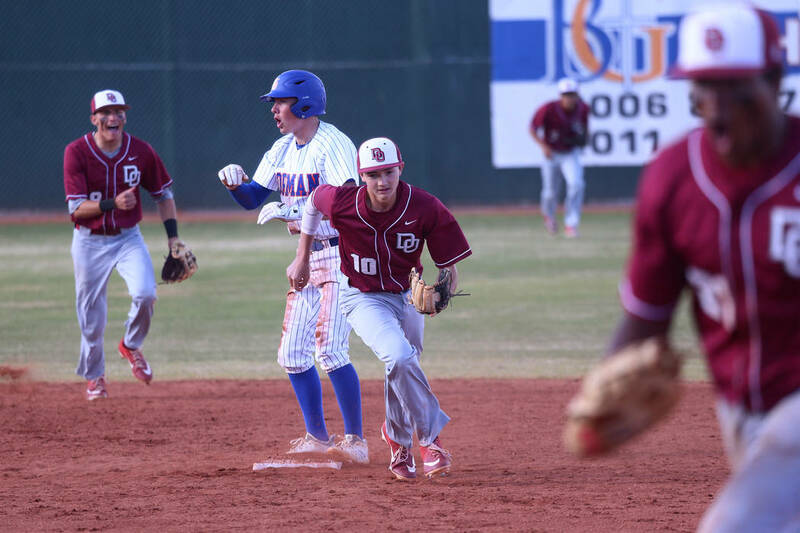 9 hitter, Tyler Avery, tried to lay down a sacrifice bunt. 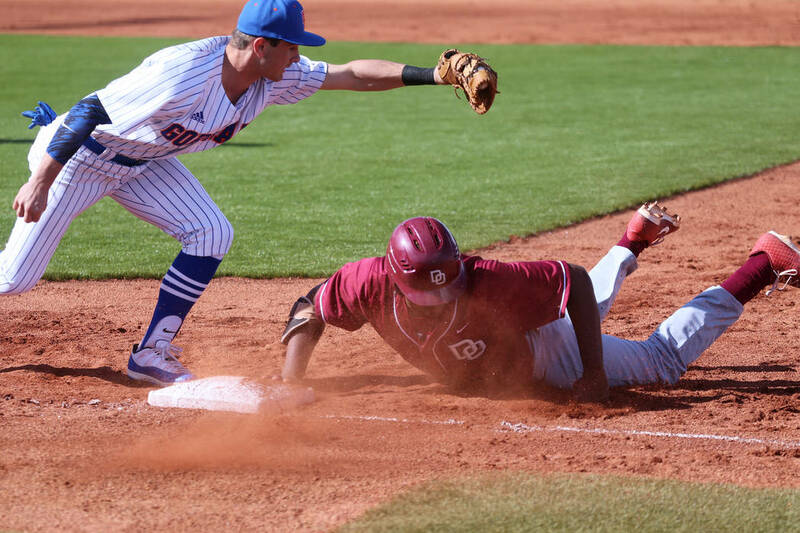 Sharman bounced off the mound to field the bunt and gunned down the lead runner at third base for the first out. 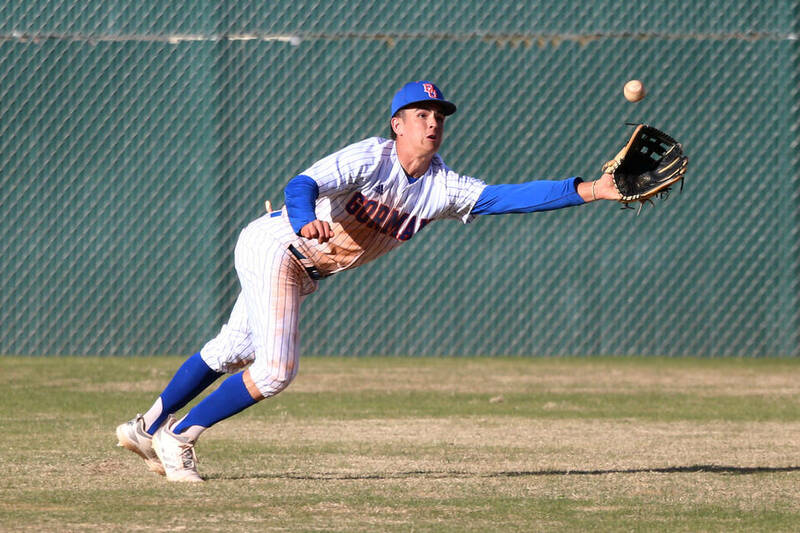 He then picked Avery off first base, before spinning to pick off Cameron Hougham off second to end the inning. 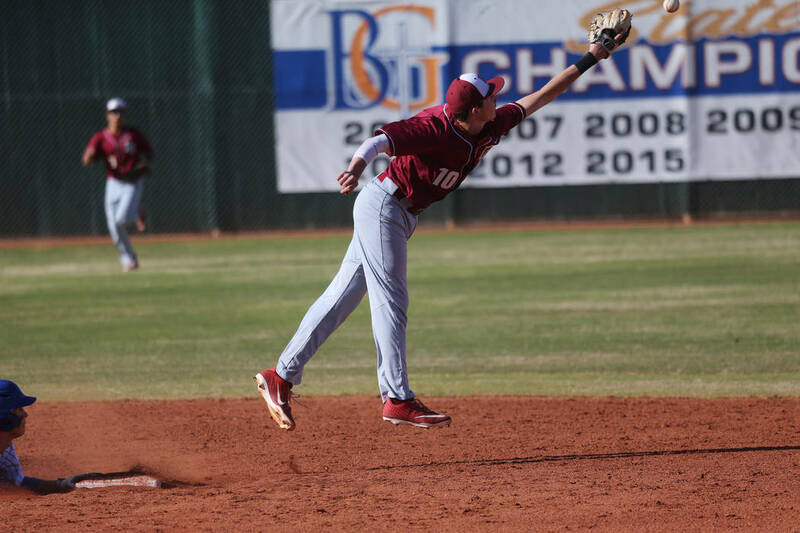 The top-ranked Diamondbacks (9-1, 4-0 Desert League) scratched across a run in the top of the first when Parker Schmidt bunted for a leadoff single and scored on a throwing error. 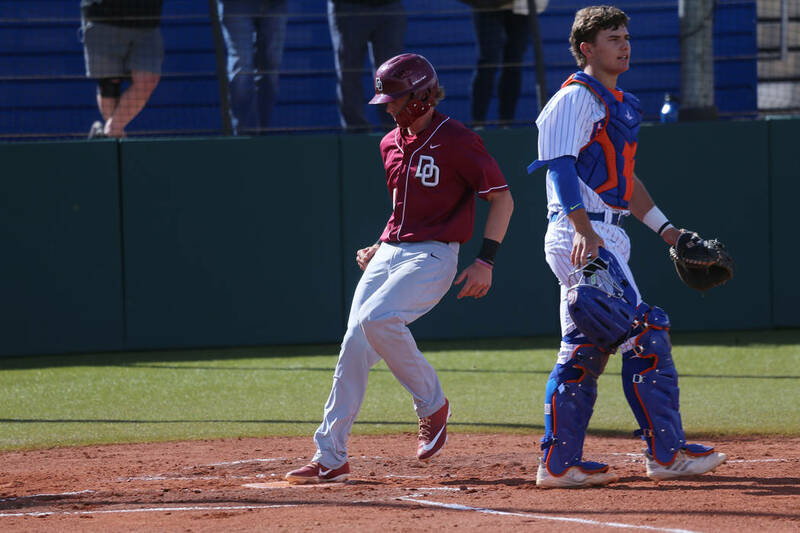 They gave Sharman some breathing room with three runs in the third capped by a two-run double by red-hot senior Aaron Roberts. Roberts entered the game 16-for-20 on the season, but struck out in his first two at-bats, before coming through with the clutch hit. 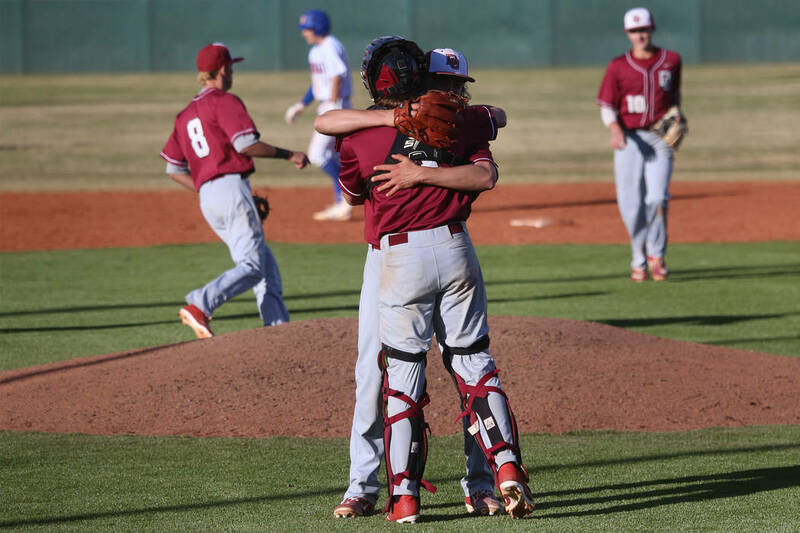 Sharman struck out six in shutting out No. 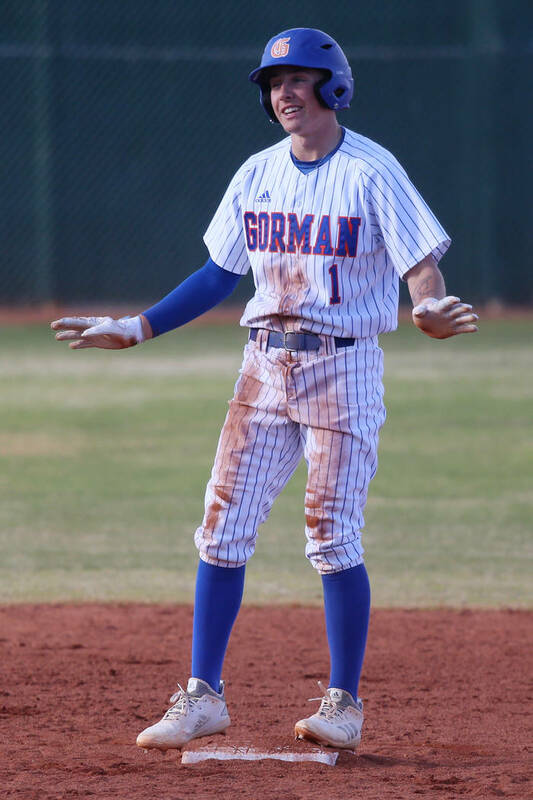 3 Gorman (4-2, 0-1). “He’s been our guy for the last few years, and he proved it again today that he’s one of the best pitchers in town if not the best pitcher in town,” Buboltz said. Schmidt, another key senior, went 2-for-4 and scored twice. 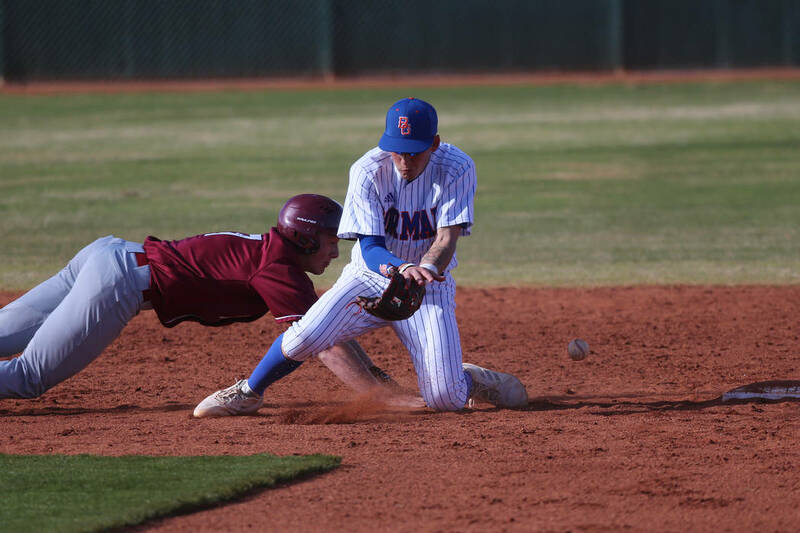 *Silverado’s Brant Hunt singled home the winning run in the bottom of the eighth inning in a 5-4 home victory over Sierra Vista. 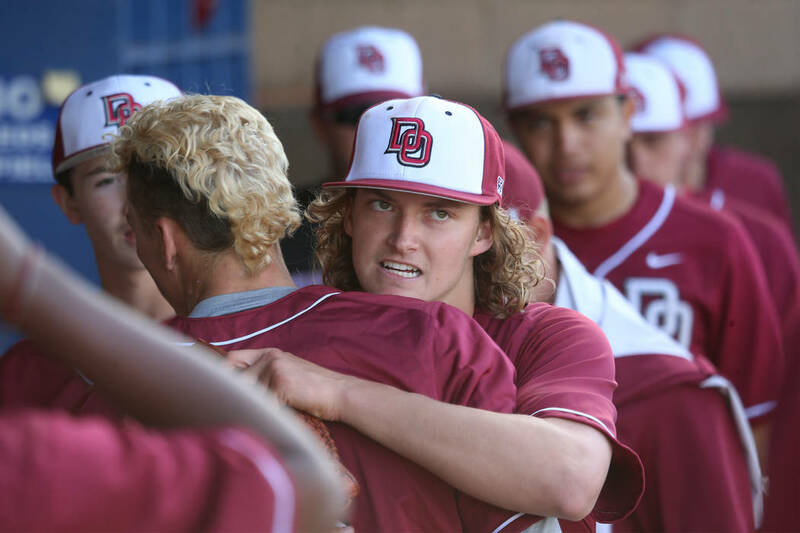 *Durango’s Tyler Donohue threw a six-hitter with eight strikeouts in a 3-1 road win over Green Valley. 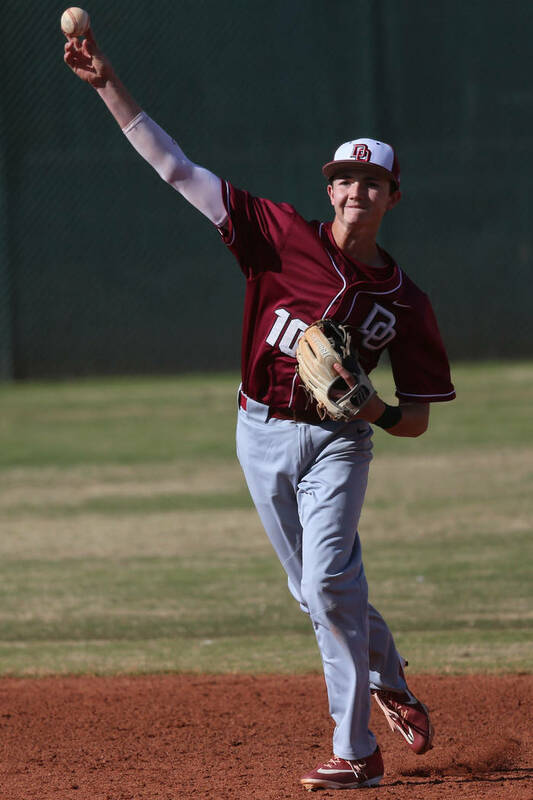 *Basic’s Kyle Turner was 3-for-3 with a home run in a 9-3 home win over Foothill. 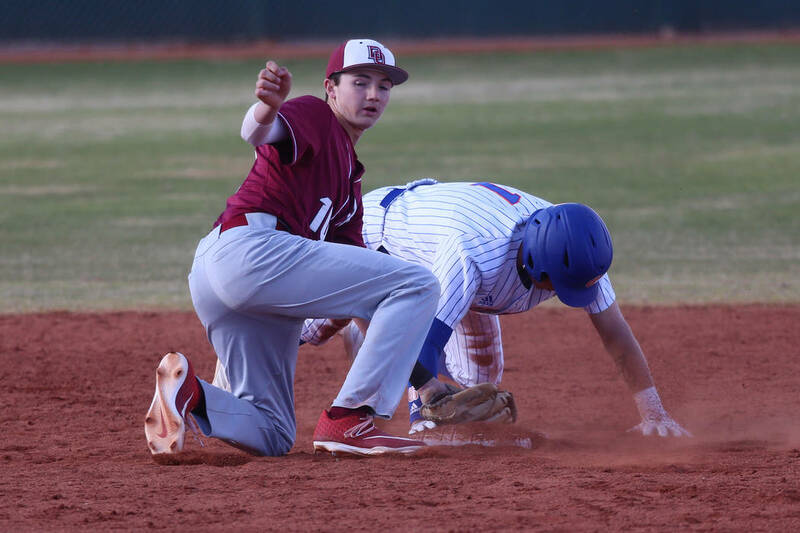 *Desert Oasis’ Jaid Ravall hit a two-run home run in the top of the sixth to break a tie and give the Diamondbacks a 10-8 road win over Bishop Gorman. 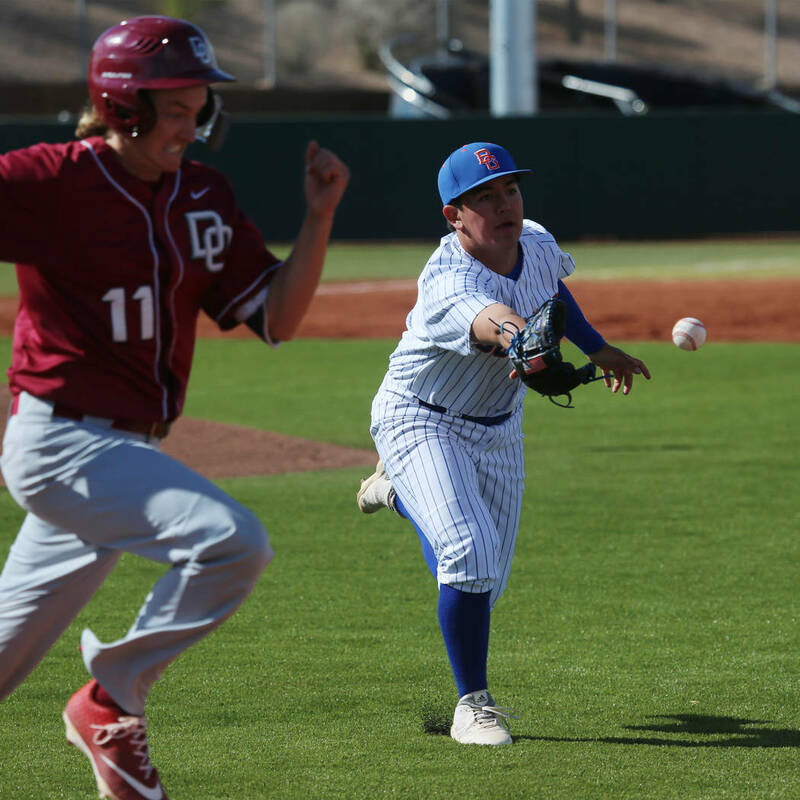 *Sierra Vista’s Jamie Kalaau-Sunia went 3-for-4 with a double and three runs, including the go-ahead run in the top of the seventh of a 10-9 road win over Silverado. *Basic’s Mikayla Berg was 2-for-3 with two home runs and five RBIs in an 11-0 home win over Foothill.